Crafted by skilled artisans using hammer and anvil, our "Rustix" hand forged Tee Hinges are available from 4" (102mm) long for cabinet and cupboard doors, to 22" (550mm) long for wide and heavy solid oak doors. 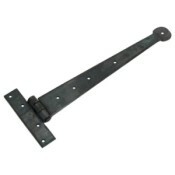 All sizes are available in our traditional "Rustix Waxed" beeswax finish for internal use with selected sizes available in "Rustix Armour Bright" for both internal and external applications. 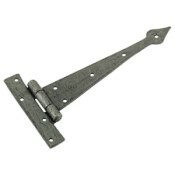 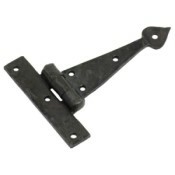 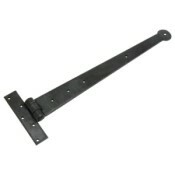 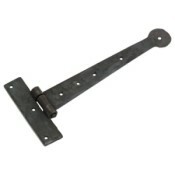 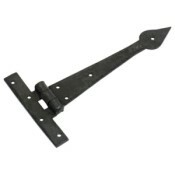 All of the Tee hinges in this section are priced per Single hinge complete with appropriate fixing screws for wood.